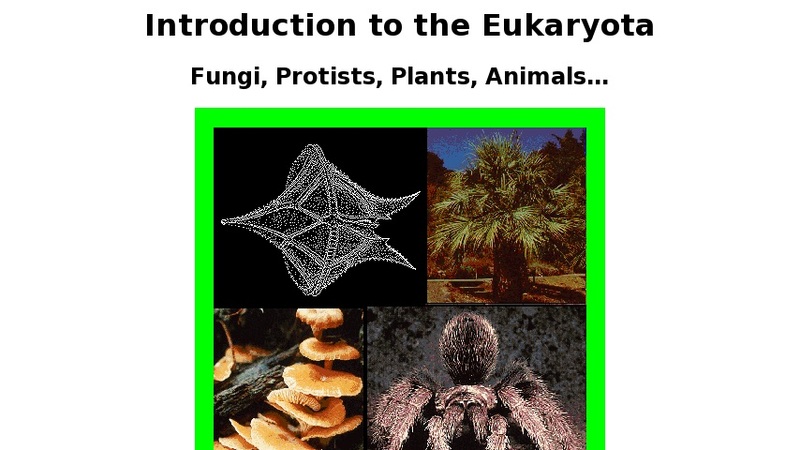 This resource presents information about the Eukaryota, which includes all animals, plants, fungi, and protists, as well as the vast majority of the organisms with which paleontologists work. Although they show unbelievable diversity in form, they share fundamental characteristics of cellular organization, biochemistry, and molecular biology. Links lead to more information about the life history and ecology, morphology, systematics, and fossil record of the Eukaryota. Other links allow navigation to all other sites in the paleontology collection.